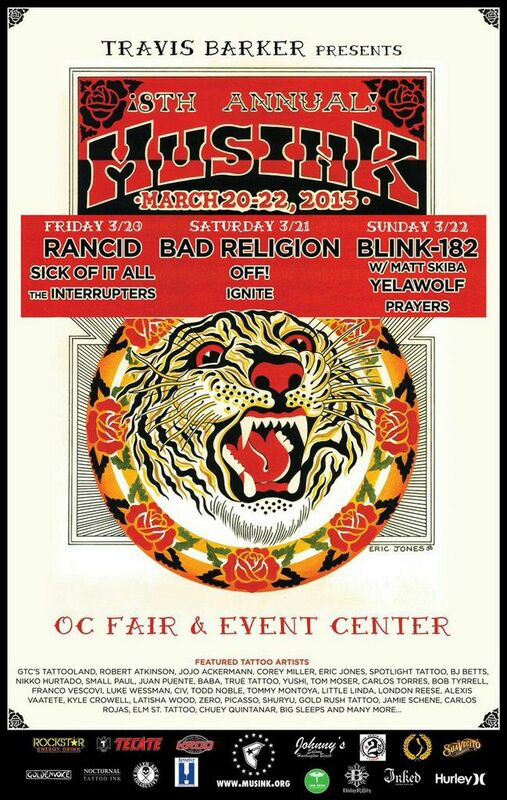 Southern California’s highly anticipated music and tattoo festival MUSINK will return to the OC Fair & Events Center in Costa Mesa, CA on March 20th-22nd with an impressive lineup of musical acts including Blink 182 w/Matt Skiba (Editors note: founding member Tom DeLonge has left the band…again), Bad Religion, Rancid, Yelawolf, OFF!, Sick of It All, Ignite and more! Presented by Blink 182’s Travis Barker, MUSINK will also feature hundreds of world renowned tattoo artists including Robert Atkinson, Jojo Ackermann, Corey Miller, Eric Jones and BJ Betts among others. 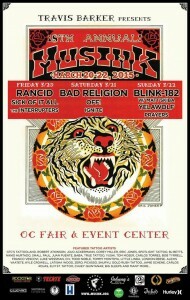 Tickets for MUSINK will go on sale at 10:00AM PT on Friday, January 30th HERE. Tickets will go on sale to the public on Friday, January 30th HERE.